I introduced an internet savvy college student to Ravelry this week. My gifts are bought, wrapped and all settled under the decorated tree. I watch The Wendy Williams Show every single day. Can you guess which is the lie? When N and I walked into his Korean Culture group I noticed one of the college students knitting! She was casually standing there knitting a pretty pink cabled scarf which she later told me was for her sister. I was so stunned. A real live knitter where I didn’t expect one. I told her that I knit too and asked the universal question “Are you on Ravelry?” Imagine my shock when she didn’t know what it was. I quickly showed her, got her signed up and friended. She said she now knew what she would be doing on Christmas break. The Lie: I did order my gifts but they haven’t arrived yet. There is gift wrap, I think, in a box in the basement. 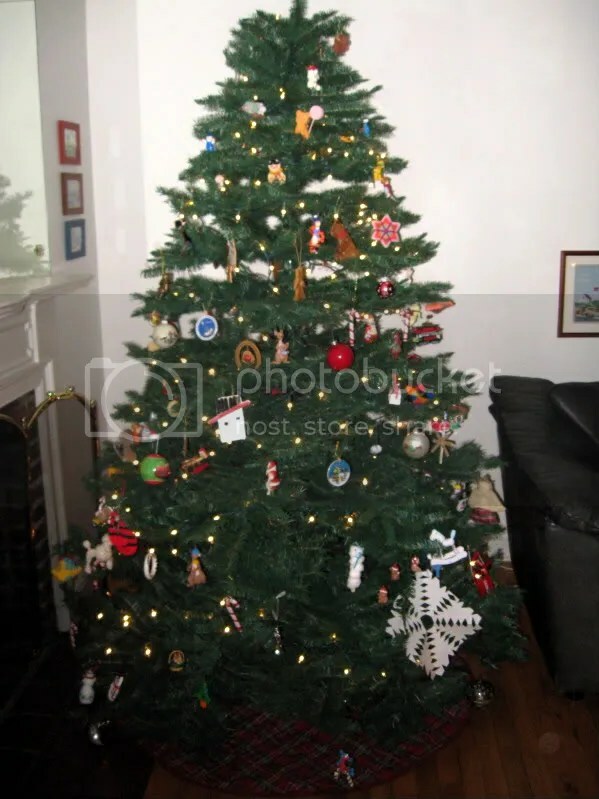 The tree photo is strictly historical. The tree is still in it’s box in the basement. We should be ready, maybe. I blame my genes. I have an innate curiosity about people and a need to hear about celebrities. My grandmother was a faithful reader of all movie star magazines and a lover of The Enquirer. My mother liked TMZ. I try to limit my celebrity gossip to The Wendy Williams Show (How you doin’?) and reading People magazine at the dentist.